I was awarded this awesome award! 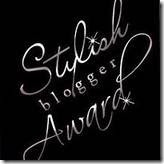 4.Contact these bloggers and tell them about the award. Okay, so 7 things about myself. 1. I can shoot a long bow while standing upside down and backward. 2. I bite my nails, especially when I'm editing. Its a bad habit, I know, but I can thing or more life threatening and expensive habits. Maybe one day I'll get counselling for my nail biting when I don't have bigger things to worry about. 3. I like to turn up the music and dance around my living room with my toddler. 4. I've studied mixed martial arts. 6. I LOVE LOVE LOVE kitties, horses, deer and unicorns. I just want to kiss all their faces. 7. I wish I had the super powers to replicate myself and fly. Here are my ten bloggers (in no particular order). Check them out. Do you have a video of you doing said flip with sword? Congrats on the award, and thank you for thinking of me!! What an honor to be awarded this by you, the creative master. Thank you! Girl, you are an inspiration to many. You are awesome!